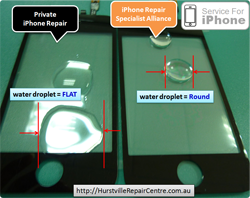 iPhone 4 Screen Replacement & iPhone 4 Glass Replacement are iPhone Repairs Hurstville Centre's Specialities. Our iPhone Repair Technicians Knew every single part of iPhone 4 and we always do study & research 'the best of best solutions' for iPhone 4 Problems together ( a member of iPhone Repair Specialists Alliance ). Have you got a Broken iPhone 4? This is the right time to get Stunning Colourful iPhone 4 (White, Red, Pink, Green, Yellow, and Transparent). No Extra cost for Conversion Service. Talk to one of iPhone Tuning Specialists Today. Colour Glass Back Cover for iPhone 4 : Only $55.00 ( Gold, Orange, Pink, Red, Yellow, Blue) - Within 10 Mins DONE..
Colour Metal-Look Back Cover for iPhone 4 : Only $35.00 ( Sliver, Red, Purple, Pink, Lime, Gold, Blue, Black) - Within 10 Mins DONE.. It's Limited Edition so Hurry Up!! This service is only Available Until Stocks last. Already there are lots of Happy Customers.... Now It's your turn. Click here to watch More Videos. Testimonials... What Customers are talking about us..
Have Been Done Professionally !! Awesome iPhone 4 Repair Service. Premium iPhone 4 Repair Service comes from TOP Quality Parts. Have You Caught By the Poor iPhone 4 Repair Service? This might help you understand Why You can be cheated. *. This test was conducted by iPhone Repairs Specialist Alliance. Please click each image to see more. Hopefully You can make the better decision for repairing your Broken iPhone. Now it's Over 15,000 !! See yourself below the real photo. Your Apple iPhone will be repaired like other 15k+ iPhones. Do you remember the last time you dropped a handheld electronic gadget accidentally into water? What had happened to that device after it got wet? Most likely, it might have stopped functioning. The same thing can happen to your precious iPhone as well. 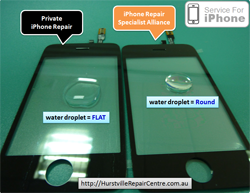 If your iPhone has just got exposed to water or moisture, you would certainly need a good..... read more.. The iPhone 4 Glass and LCD screen are very fragile and highly prone to breakage on slightest impact against a hard surface. Any crack in the screen can cause the dust to enter into the iPhone and damage its internal circuitry. As the iPhone 4 has an incredibly sophisticated design, it is not possible to repair.... read more..